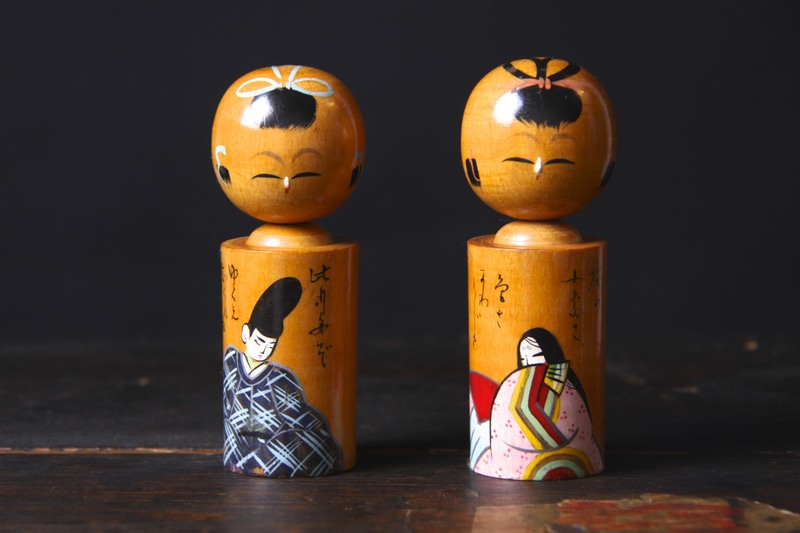 These are a Wonderful Pair of Vintage Kokeshi Dolls / Figures, Japan, circa 1950’s. 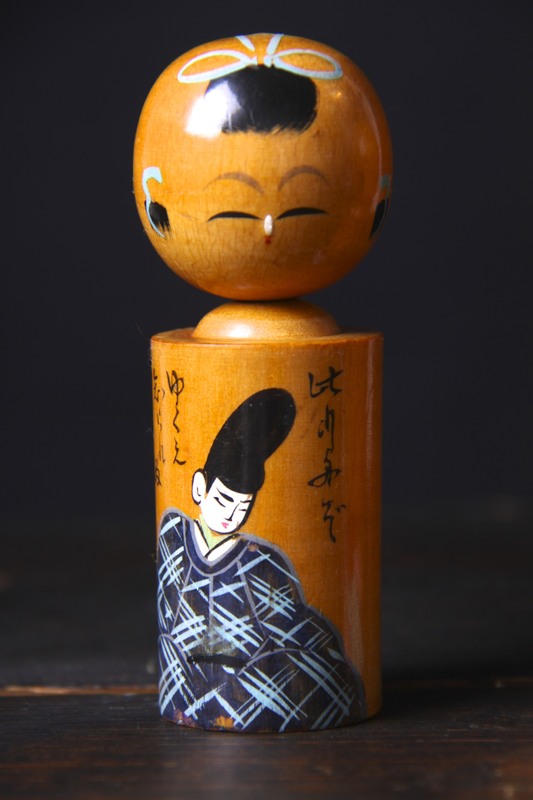 A Traditional Japanese wooden doll, hand carved and painted, with a nodding ball head on top of a cylindrical body in the Dento (traditional) Kokeshi style from Northern Japan. 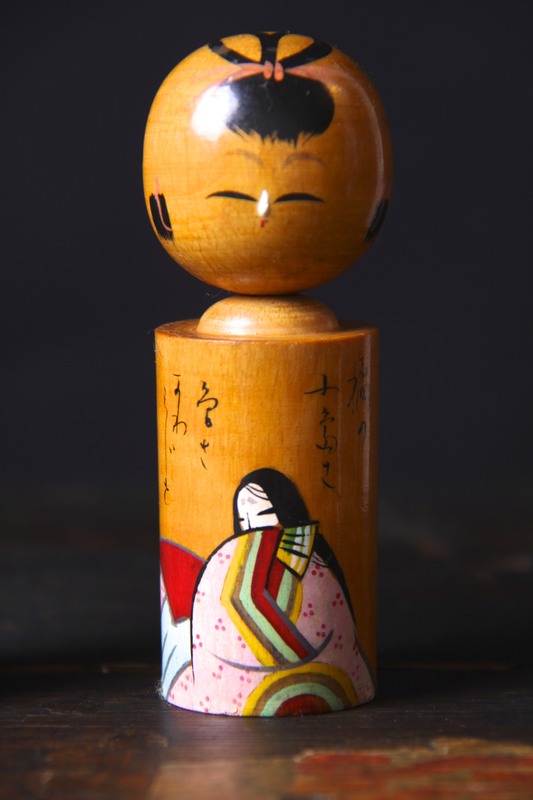 Each piece is beautifully decorated with a simple face and hair and the bodies have pictures of a Japanese Prince and a Geisha with Japanese lettering. Lovely pieces that showcase Japanese traditional skill and craftsmanship, and are also reminiscent of the mid century era, with their stylised nature and form. Would make a Great addition to any collection of Japanese art / craft, and would complement any retro, vintage, mid century, Asian, Japanese, minimal or contemporary interior. In Great Condition, a few light marks and small flakes to the paint commensurate with age, nothing to detract. Measuring each 10 x 3 x 3cm / 4 x 1.25 x 1.25in.